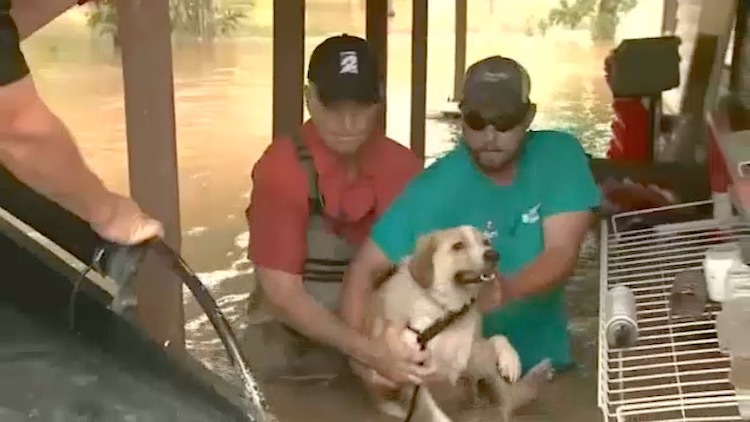 A television crew in Houston, Texas rescued a dog left chained to a front porch last week as floodwaters surged to record levels. The animal could barely keep its head above water when a crew from KPRC News spotted it from a boat they were using to survey flooded neighborhoods. Anchor Phil Archer and cameraman Jeff Shimek jumped into waste-deep water to free the dog and hoist it into the boat. On a return trip, the crew found five more dogs abandoned in the floodwaters and brought them all to the Houston Humane Society. 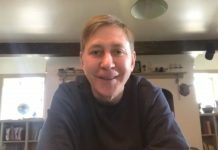 SHARE it When the Media Does Something Right!